When we plan our days and pick our curriculum we may set ourselves up to fail if we do not consider their Eternal value. 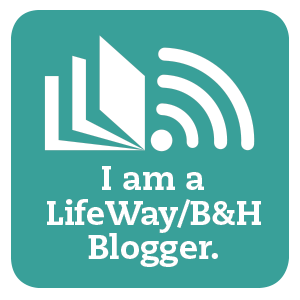 When I first pulled my children out to homeschool I worked and tried to arrange our lesson plans and schedule so my children would be able to achieve and do great things. Commendable, to be sure, but my focus was all wrong. When I was blessed with the realization that the most important achievement for any of us is eternity, our school schedule and lesson plans suddenly made more sense and fell in place. From the prayer to the Bible studies, to the life lessons we homeschool moms are blessed to be present for and teach through a Biblical perspective. Studying with Christ at the center shapes our children's hearts for the eternity that awaits all good and faithful servants. When Eternity is at the center of our homeschool, days are less stressful. We may have flopped the writing lesson and only made it through half of the math problems, but we read our Bible story and discussed its real life applications. We might have missed science and history dates still elude our students, but God's Word was memorized and the years of the great prophets discussed, Eternity was touched. Our day was full, we were accomplished, and God's presence was known. The rest will come. The days that fall short in man-measured academia will all be reached in time, but eternity has no time. No beginning and no end. We know not when we enter it and so we must always be prepared for it. If we teach not It's message, are we really equipping our students at all? 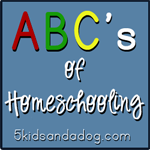 God Bless your homeschool this week, may eternity be attainable in your household! Welcome! It has taken us quite a while to come to the conclusion that perfection in the academics is not the focus/goal. 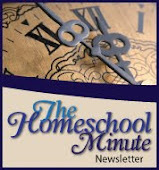 We have become more relaxed homeschoolers with a better goal, too. Great post! "The days that fall short in man-measured academia will all be reached in time, but eternity has no time." This is so true. I love this sentence! Praise for your efforts to bring the Faith to your children as the priority! Naomi, I agree, it takes time (and practice and prayer) to find peace in "Eternity" centered priorities. Such a blessing of peace once we do!